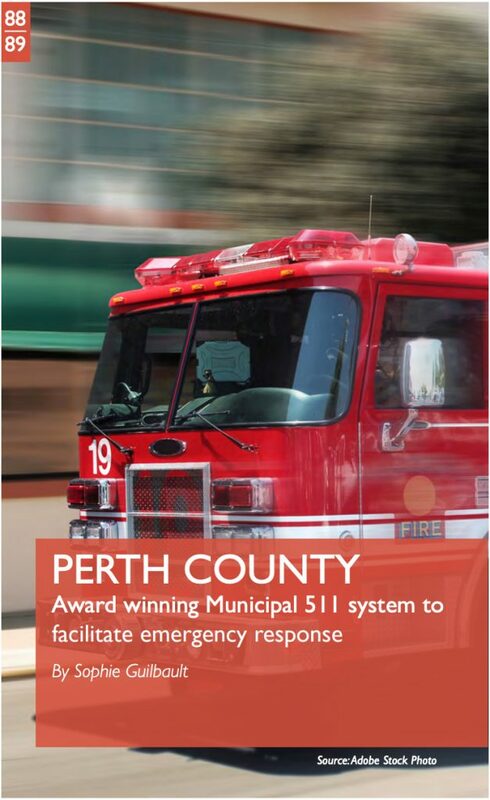 “Cities adapt to extreme weather, celebrating local leadership.” Perth County and the award-winning Municipal511 system by Transnomis Solutions. The Perth County implementation of Transnomis Municipal511 Responder511 has been recognized by a third national organization this year. A chapter has been included in the Institute of Catastrophic Loss Reduction publication titled, “Cities Adapt to Extreme Weather – Celebrating Local Leadership” (https://www.iclr.org/wp-content/uploads/2018/12/Cities-Adapt-Website.pdf). Kudos to CEMC Dave Colvin, and all of the Perth County stakeholders! The book will be distributed in hard copy to the 20 largest city mayors across Canada and other key organizations in emergency preparedness and risk mitigation.